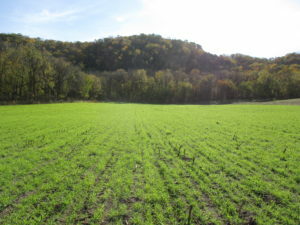 Several Allamakee farmers are being highlighted in NRCS’ Profiles in Soil Health publications. Ross Weymiller worked with the Allamakee SWCD to set up several different manure and cover crop trial plots (5-10 acres each) to compare different manure/cover crop application methods. The manure utilized was liquid hog manure and the cover crop was cereal rye. This trial was partially funded through a grant from the Leopold Center for Sustainable Agriculture at ISU. Slurry seed – the cover crop was mixed in the manure tank and applied with the manure. All sites were seeded around mid-September, 2017 and had significant growth in the fall. 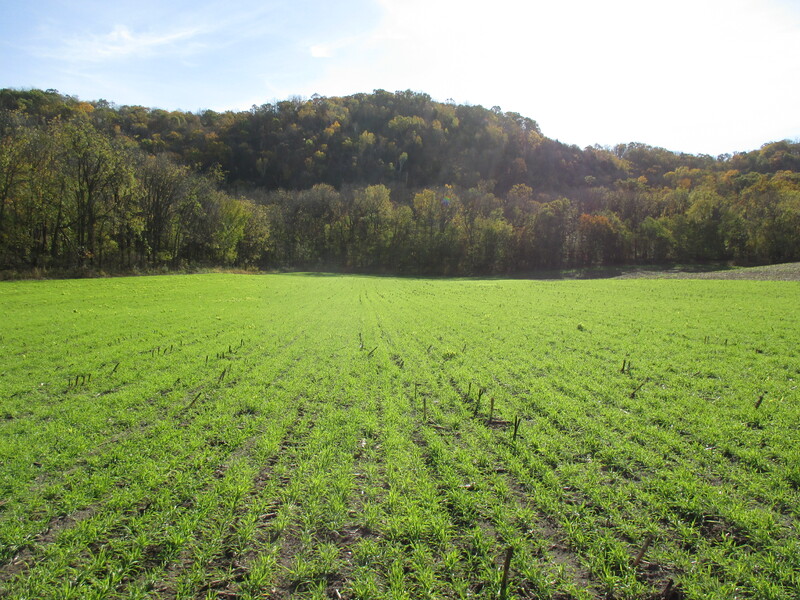 The Allamakee SWCD, NRCS, and Weymillers will be hosting a cover crop field day April 9 at 11:00 a.m. to showcase the different methods and discuss how manure and cover crops can work together to improve soil health, reduce nutrient loss, and decrease erosion. Read the NRCS publication on Weymillers here. Other producers who have been trying cover crops with manure were also interviewed by NRCS. Scott and Dylan Ness knife hog manure into their growing cover crop. Matt Byrnes broadcast his cover crop and then surface applied dairy manure a few days later.